Shahzad in full control at the moment. What a pull it was against Tait. Shahzadaaaaaa!!!! What a commanding six for Ahmad Shahzad. 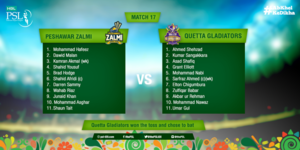 #Zalmis vs #Gladiators is underway. 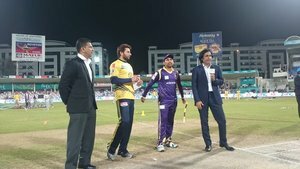 @TeamQuetta wins the toss and elect to bat! 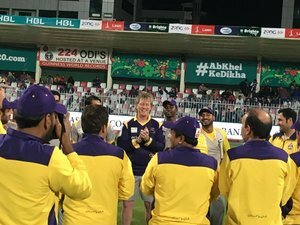 WELCOME TO THE PSL SANGA! @WahabViki bowls the Sri Lankan veteran off just his second ball! 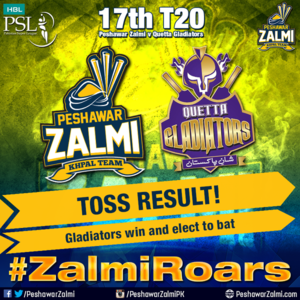 Zalmi on fire!